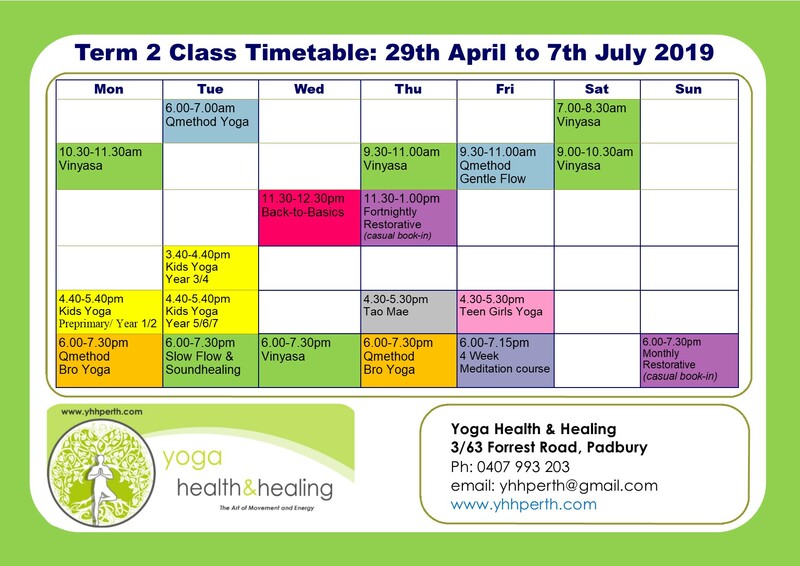 Welcome to Yoga Health & Healing. It has been our dream to create a space where like-minded people can come and share the benefits of yoga, healthy lifestyle practices, and complementary healing modalities. We hope to create a positive environment that you enjoy visiting and exploring for information on Yoga Teachers and classes, Health and lifestyle Trainers, and Healing Practititioners. 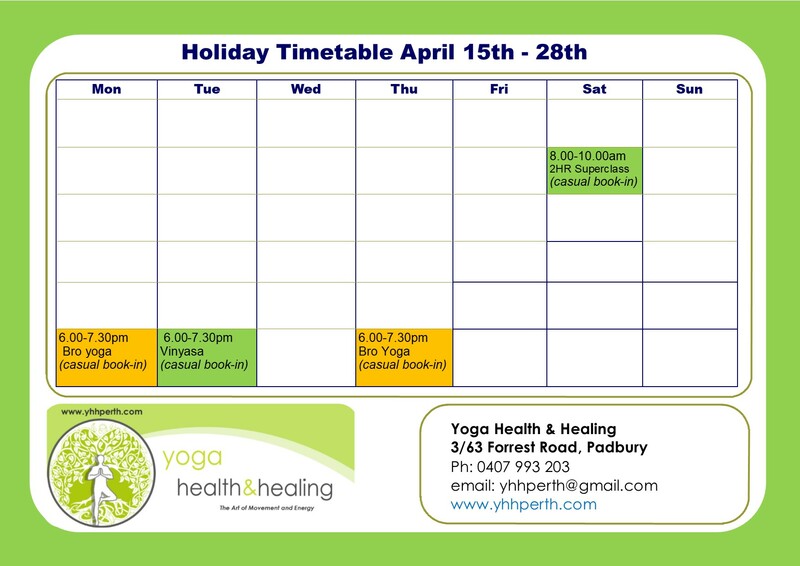 Bookings for the casual classes can be made online here. 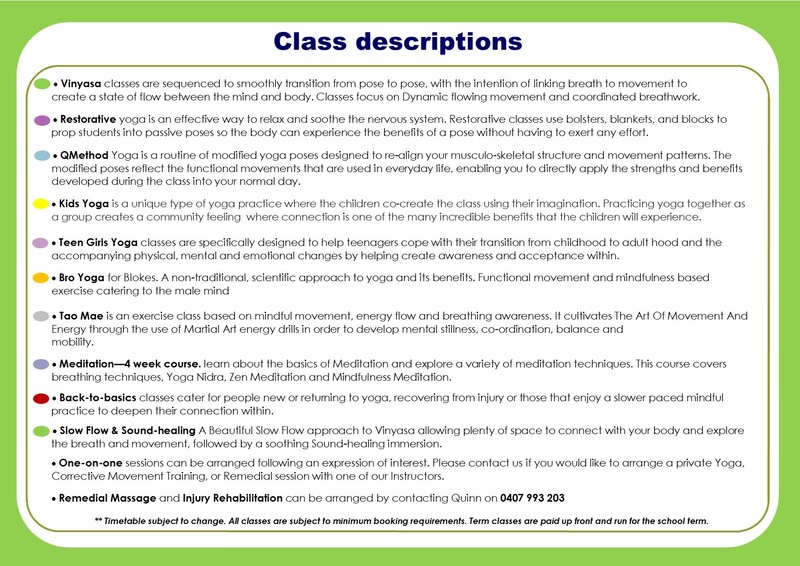 Please contact us to register your interest in Term classes.